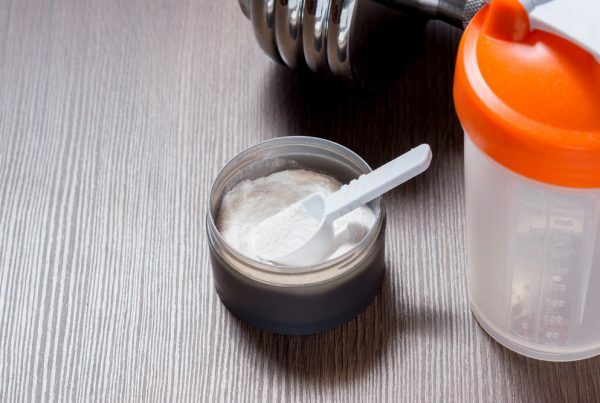 Home » Supplements » What Are Meal Replacement Shakes? If you’re new to the sports nutrition world or simply trying to find a way you can lose weight then you may have come across meal replacement shakes in your searches. They’ve been featured on tv, used by a host of celebrities and often advertised by every influencer out there on social media. Amongst this increase in popularity, there is little clarity to what these shakes can actually do for you. That’s why we’ve written this article to answer every question you may have about them. So sit back relax, and let us do the talking. Meal replacement shakes often contain a large variety of healthy ingredients and can be found sitting in the aisle with protein powders and snacks. However, unlike protein powders, meal replacement shakes have been designed to give your body nutrition, equivalent to eating a full meal but with reduced calories, fats and carbohydrates. You can usually find them in the form of powders that can then simply be made into a shake by adding either milk or water. These meal replacement powders are then often flavoured (don’t worry you won’t get flavours similar to your meals, they’re usually milkshake flavoured, such as chocolate and strawberry). How many calories are in a meal replacement shake? Most meal replacement shakes have on average around 200-400 calories, with a good nutritional profile of protein, fibre and vitamins and minerals. The average meal we consume can vary between 500-700 calories, so by consuming a meal replacement shake, you are instantly reducing your calorie intake but also gaining some essential nutrients. Depending on which meal replacement you go for will vary the nutritional values including calories and vitamins and minerals. Often its recommended to consume a meal replacement shake 3 times a day as your meals, so that’s breakfast, lunch and dinner for optimal performance. However, even if you were to replace one meal a day you would see a significant reduction of your calorie intake. As a premium example, see the makeup of one our Best Meal Replacement Shakes. They look pretty awesome, right? But how does this compare to other popular lunchtime snacks? We’ve selected some of the most common lunchtime meals we see people going out and buying on their office break. Below will seriously put it into perspective and you may think twice before opting in for a meal deal in the future. Looking at the above really does make you realise how many calories you’re eating on your lunch break, and as such why a meal replacement shake is an awesome delicious alternative. Often many people think they’re going for a ‘healthier option’ by choosing a pasta salad, but the facts are clear above and are one of the reasons why you may be struggling to lose weight. What you want from a meal replacement shake may depend on your overall goals, however, if looking to lose weight then there are a few clear elements you must look for when choosing your got to shake. Vitamin and minerals – As you will be reducing your calories, you must make sure that you’re taking on board adequate amounts of vitamins and minerals. Take a look at what blend of vitamin and minerals they put into it, and well if there isn’t any then stay clear. Low sugar – Often meal replacement shakes are packed full of sugar, which defeats the objective of trying to lose weight. If sugar goes unused it turns into glucose and then into fat. Double check it’s low in sugar to be confident. We’d say anything below 10 grams of sugar is a good starting point. 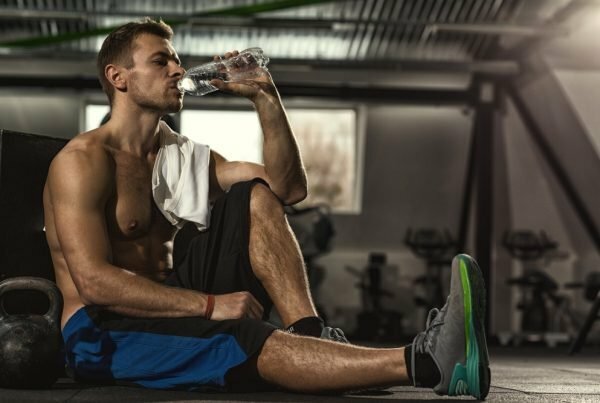 Low Carbohydrates – It’s important that your shake contains some form of carbohydrates as we need these for energy, however, excessive amounts will lead to weight gain. Flavour – although this is at the bottom of the list it’s one of the most important. As you will be substituting meals for a shake, you have to enjoy what you’re drinking. As you’re more likely to stick to your diet plan especially if consuming one 3 times a day. What Makes a Meal Replacement Shake good? So we’ve discussed what a meal replacement shake is but what is it actually made out of? If it has an equivalent nutritional profile of food surely it must contain some? It’s questions we often get asked here at TPW™ towers and it’s our job to answer them for you. Meal replacement shakes are often found in powders, for the simple reason as you can consume them wherever and whenever you want, you just need water or milk. Each meal replacement powder will contain different ingredients, but the basics of them involve, protein blends, carbohydrates blends, vitamins and minerals blends, as well as flavouring. These ingredients will be added to the powder in certain quantities to make sure that the calories, fats and carbohydrates are at low levels while maintaining a high concentration of protein. The chances are if you choose a premium meal replacement shake it will also contain certain weight loss ingredients too. It’s important to check the labels to make sure there are no hidden nasties. As an example take a look below at the main ingredients list for our ‘Diet Meal Replacement Shake. Main Ingredients as of TPW™ Diet Meal Replacement Banana Smooth. Protein blend (Soya protein, whey protein concentrate). Maltodextrin and Medium-chain triglycerides (carbohydrates). Vitamin and mineral blend (containing over 25 individual vitamins and minerals), Konjac Glucomannan (Proven weight loss dietary fibre). Conjugated Linolenic Acid (popular weight management supplement). L-Carnitine (a powerful amino acid used for converting fat stores into energy). Green tea extract (herbal weight management supplement). Many people use meal replacement shakes for a whole host of reasons, but the main one being weight loss. Not only do some meal replacement shakes taste amazing, but they’re incredibly convenient and easy to take on the go. For example, on many occasion, you often don’t have time to prepare a meal, so go straight to the snack cupboard. That’s where Meal replacements come into their own. Providing you with essential nutrients while also helping you curb those cravings. It’s a well-known fact that one of the biggest barriers to losing weight is the time it takes to prepare healthy meals. They also provide you with nutrients that your current diet may be lacking, which is incredibly important when trying to lose weight. Going into a calorie deficit is the main way to lose weight, but by doing so you inevitably eat less food, which can result in your body being malnourished. Many shakes are blended with lots of vitamins and minerals which will allow filling this nutrient lacking gap. Meal replacement shakes are also incredibly good value too. 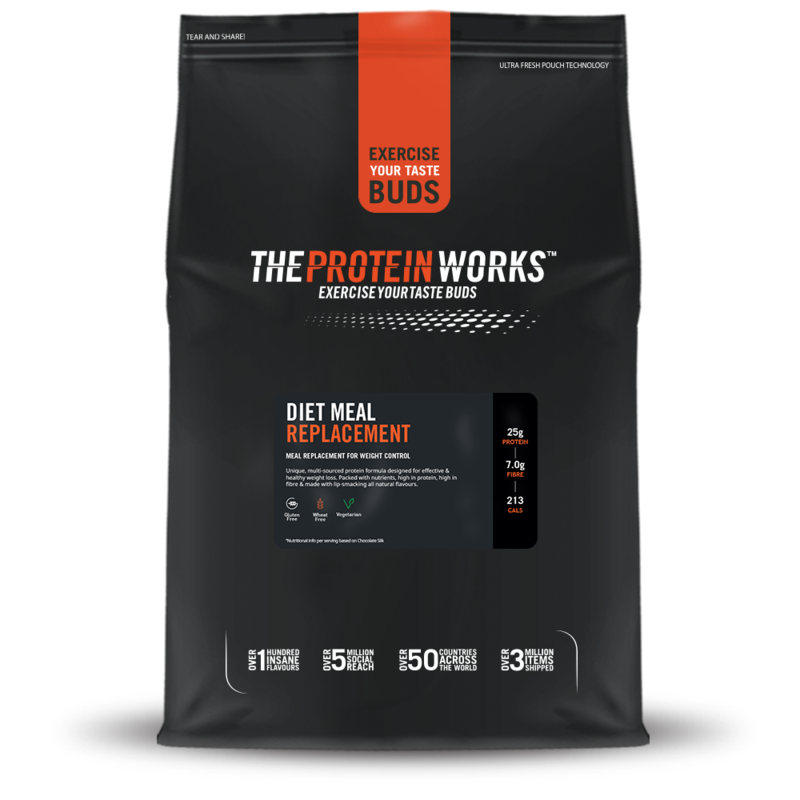 Take our 1kg Diet Meal Replacement Shake, RRP £25.99 for 16 servings which equals just £1.62 per meal. We challenge you to find a cheaper meal that provides you with high-quality premium nutrients and weight loss ingredients, it’s just impossible. Don’t forget we also have some awesome daily deals on site that will make this even better value. Do Meal Replacements work? And Do Meal Replacements help with weight loss? Right, let’s cut to the chase, it’s all well and good explaining what they contain but do meal replacement shakes actually work and can they help you with weight loss. In short yes! Meal replacement shakes provide you with essential macronutrients, vitamins and minerals equivalent to what you would find in a meal, but with reduced calories, reduced fat and reduce carbohydrate levels, not to mention they’re also usually very low in sugar too. This reduced calorie allows you to much easier to perform at a calorie deficit, which is the main way to lose weight. Each piece of food or sip we take from a drink contains energy in the form of calories. We need calories for our body to maintain its bodily functions, however, if we consume more than what our body needs (calorie surplus) the additional energy is stored as fat. To get rid of this extra fat stored we must be in a calorie deficit. This simply means eating fewer calories than we are using up through the day. Your body then gets its fuel from the fat stored in your body, turning the fat into energy and thus you lose weight. It’s simple science but basically consuming a diet meal replacement shake allows you to do this while maintaining a high concentration of vitamins and minerals with ease and flavour. Most meal replacement shakes have a high concentration of protein. As we’ve said when in a calorie deficit your body can become malnourished and as such, you can start to feel fatigued and tired. Protein can help boost these levels of feeling tired and fatigued by helping your body create energy as well as repairing and maintaining muscle mass. It has also been found that a high protein diet leads to greater satiety; the feeling of being full, (Johnstone et al. 2000 & Westerterp, K, 2004) which can help you eat fewer calories, reduce the desire (Loenneke et al 2012 & Due et al 2004) to eat and stop you craving that second portion. Additionally, high protein diets have been associated with other benefits including increased lean body mass (Rains et al. 2015), reduced body fat (Loenneke et al 2012), less belly fat and improved weight balance (Soenen et al 2012 & Bedsten et al 2013) and that;s just the start of these awesome powders. 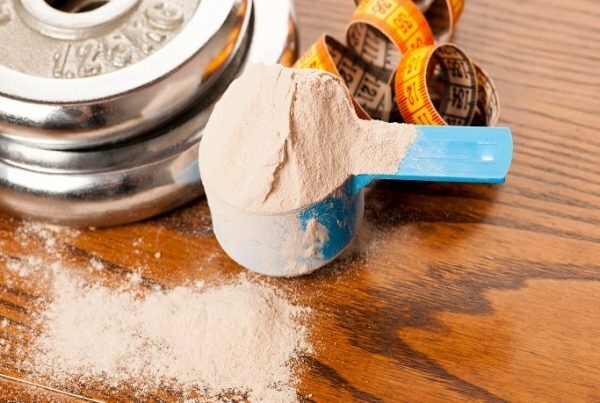 As we’ve said some meal replacement shakes may contain certain ingredients that also promote weight loss, such as glucomannan and green tea extract. Both are consumed as supplements on their own, but even better if you can get these in a meal replacement too. Glucomannan is a dietary fibre that expands in your stomach once consumed, so you feel fuller and eat fewer calories (Howarth et al 2005), it has also been shown to reduce your bodies absorption from fat too (Baer et al. 2007). It’s been a proven medical and supplement weight loss ingredient for years, and as such why combining this with a calorie deficit will only promote your weight loss goals that bit further. How Much Weight can I Lose with a Meal Replacement? Weight Loss is pretty simple, you must burn more calories than you are eating, so your body will recruit energy from fat and some muscle tissue (a high protein diet can reduce the impact of lost muscle). Dealing with weight loss is a real balancing act, so it’s important to understand how much you can lose through supplementing a meal replacement shake over and above your normal diet. Please note these are rough calculations and individual results may vary. Getting to the basics, 3500 calories equals about 1 pound weight loss, so to lose 1 pound weight over a week – you’d need to be in approximately 3500 calorie deficit, makes sense, right? So in general if you are to reduce your calorie intake by around 500 calories a day from your typical diet, you’d lose 1 pound a week. An easy way of doing this is to consume a meal replacement shake, the chances are you would be reducing your calories by swapping out a meal for a shake. 1 serving of Diet Meal Replacement (Banana Smooth) = 208 Calories so using this in place of a meal here and there could help you along the way. Male: RDA 2500 calories, so by consuming 1700 calories a day you will be in a calorie deficit of 800 calories. 800 calories x 7 days a week = 5,600 calories divided by 3500 (1lb) = 1.6lbs lost a week. Female: RDA 2000 calories, so by consuming 1200 calories a day you will be in a calorie deficit of 800 calories. 800 calories x 7 days a week = 5,600 calories divided by 3500 (1lb fat) = 1.6lbs of fat lost a week. Again please note this is a rough estimate, you’ll consume different amounts of calories every day and perform different amounts of activity too, so it will vary. Also, metabolism in individuals are different (the rate in which we burn calories). You may eat less one day, and go for a couple of mile run, and may eat more and do nothing, so this really is subjective, but the maths talks for itself. For a more accurate calculation – check out our calorie calculator to figure out your daily expenditure of calories and what to work around in terms of getting in a calorie deficit. 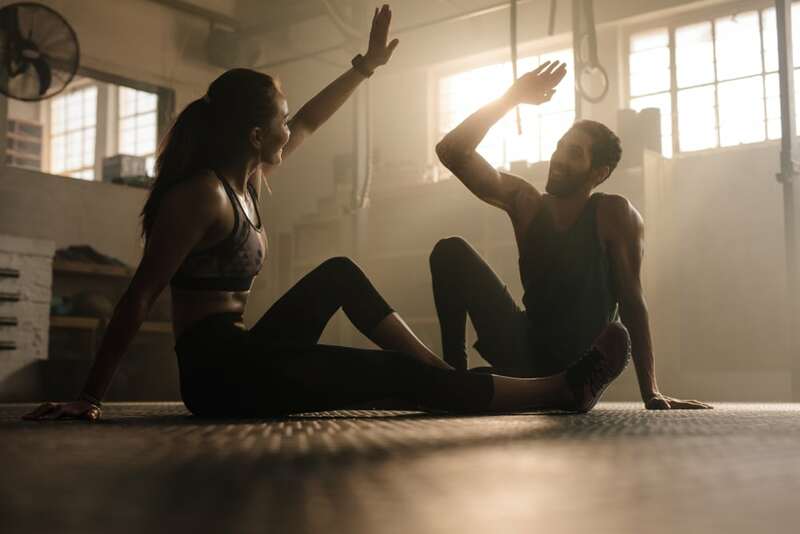 If you’re serious about losing weight in the long run then we highly recommend you give this article a read “Adherence – The Key To long Term Weight Loss”, to keep your journey on track. Johnstone AM, Stubbs RJ, Harbron CG.. (2000). Effect of overfeeding macronutrients on day-to-day food intake in man.. Euro Journal of Clinical Nutrition. 50 (7), 418-430. Westerterp, K. (2004). Diet-induced thermogenesis. Nutrition & Metabolism. 1 (5), 1-5. Loenneke JP, Wilson JM, Manninen AH, Wray ME, Barnes JT, Pujol TJ.. (2004). Quality protein intake is inversely related with abdominal fat.. Nutrition & Metabolism. 1 (5), 9-5. Due A, Toubro S, Skov AR, Astrup A.. (2004). Effect of normal-fat diets, either medium or high in protein, on body weight in overweight subjects: a randomised 1-year trial.. International Journal of Obesity and related metabolic orders . 10 (1), 1283-1290. Soenen S, Bonomi AG, Lemmens SG, Scholte J, Thijssen MA, van Berkum F, Westerterp-Plantenga MS.. (2012). Relatively high-protein or ‘low-carb’ energy-restricted diets for body weight loss and body weight maintenance?. Physiology & Behaviour. 107 (3), 374-380. Bendtsen LQ, Lorenzen JK, Bendsen NT, Rasmussen C, Astrup A.. (2013). Effect of dairy proteins on appetite, energy expenditure, body weight, and composition: a review of the evidence from controlled clinical trials. Advanced in Nutrition. 4 (4), 418-438. Baer DJ, Rumpler WV, Miles CW, Fahey GC Jr.. (2007). Dietary fiber decreases the metabolizable energy content and nutrient digestibility of mixed diets fed to humans.. The Journal of Nutrition. 127 (4), 579-586. Howarth NC1, Saltzman E, Roberts SB.. (2005). Dietary fibre and weight regulation.. Nutrition Reviews. 59 (5), 129-139.